No decisive difference between them. You - a woman a gift. You can get for special merits before God, or in front of your dad harmful. You yourself are gentle and beautiful. And the sons of you always - very good malchiki. 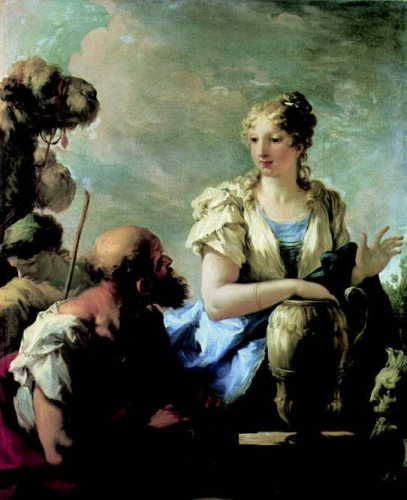 History of Rebecca starts with a meeting with Eliezer, Abraham's servant, who has done a great way to marry off just kind of girl from Abraham's son of his master. Perform such an order is very difficult, as Eliezer did not know how to find such a large city niece of Abraham. And then he prayed and asked God that he gave him a sign. 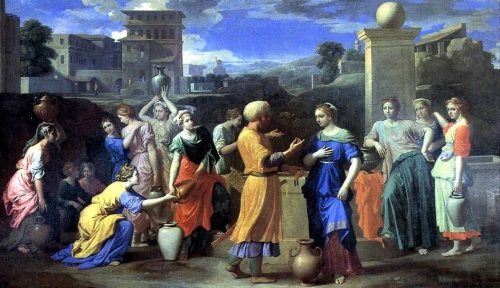 Seeing the girls night out of the city to the source of the water, he thought to himself, "It would be nice if the one that is designed for a wife to Isaac, the son of my lord, offered me a drink of water and drunk, and my servants, and camels." Once he thought Rebecca was the first among the girls responded to his request. This was a sign that God sent Eliezer.